The Bumthang area of Central Bhutan is famed for supplementary-weft work in wool. 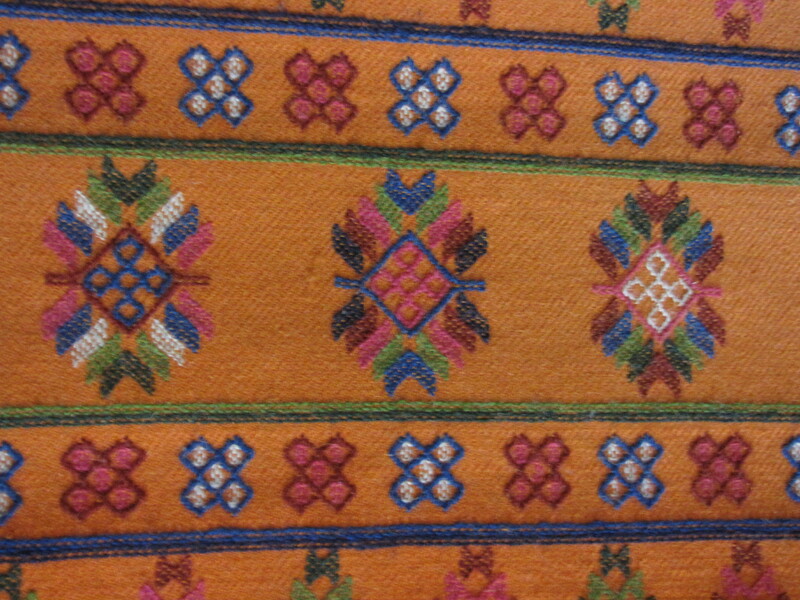 This entry was posted in Other Bhutanese Textiles and tagged Asian, Bhutan, Textile, Yathra by Wendy Garrity. Bookmark the permalink.